Our hunting area is primarily the SW part of Oregon, but we do hunt the NE part of the state also for some quality hunting, all private land hunts. Our prices are generally less expensive midweek and after the first week of the season on all of our hunts. Two turkeys are possible, but this is a tough bird we are chasing. 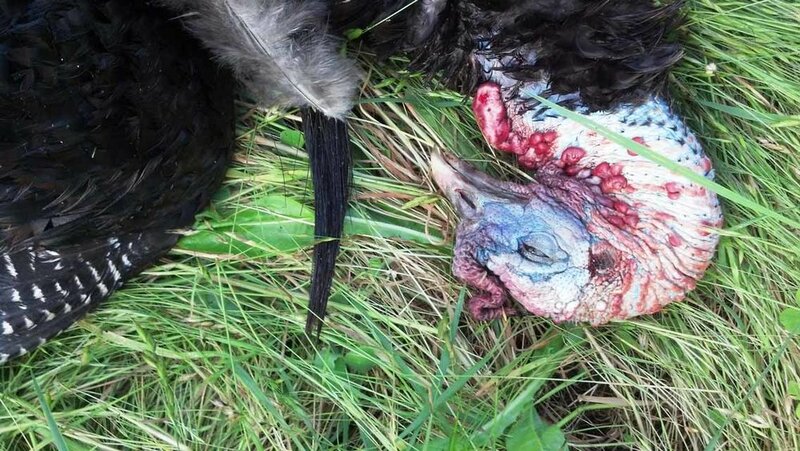 Harvest two turkeys during this three day hunt. 1 guide per 2 hunters. Hunting out of blinds and spot and stalk, with decoys and the works. Includes lunch and game handling. We will be hunting the Rio Grande turkey, bag limit one per day. Hunters will need Camou attire, including gloves, hat, and facemask. I rep an outdoor company so we can get you the appropriate attire if needed. We will furnish your Camou hat. You will need an Oregon hunting license and turkey tag. Shot sizes include turkey loads is 4’4 or 6’s, with full to super full turkey chokes the ticket for these birds. We will be in the woods most likely by 5AM, so it would be good if you traveled down Friday afternoon. We will hunt until dark on Saturday if you get there in time we will pattern your gun before the hunt. Our headquarters hotel is the Ranch Motel in Rice Hill, Oregon, clean, but not fancy, but great rates, good restaurant and lounge right next door. This is the basic outline of the hunt; we can answer more equipment questions as necessary. We also have a limited number of turkey hunting openings, both guided and DIY for Rio Grandes, at the “Rockn’ G Lodge”, near Kettle Ridge, near Republic, WA, about 2 1/2 hours west of Spokane. These hunts are unique on this private ranch as they have two small lodges they call “bunkhouses” with cooking facilities, appointed well, and right near the hunting areas, you can hunt out of your “bunkhouse” into the woods. Minimum two days/two nights, with meals and guides, game handling, and lodging. In addition, the “Rockn’ G Lodge” also some limited openings for fall turkey season check with us for details. Please read our Cancellation Policy Here, before you book.